All prices include: transfers, accommodation, guided activities and meals; all as listed. The Azorean landscapes are like nothing I’ve ever experienced in my extensive European travels. They’ve got volcanoes growing out of their volcanoes, they cook their food in the warm volcanic soils, they’ve got the world’s happiest cows and, they’ve got some spectacular whale and dolphin watching. Snorkelling with dolphins - in their environment and on their terms - will long remain in the memory. 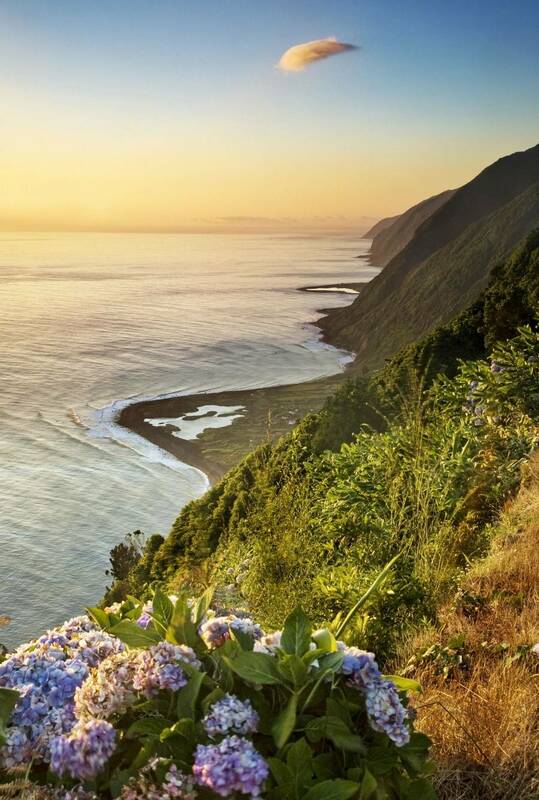 UNESCO may have discovered The Azores but this stunning archipelago still feels untouched. 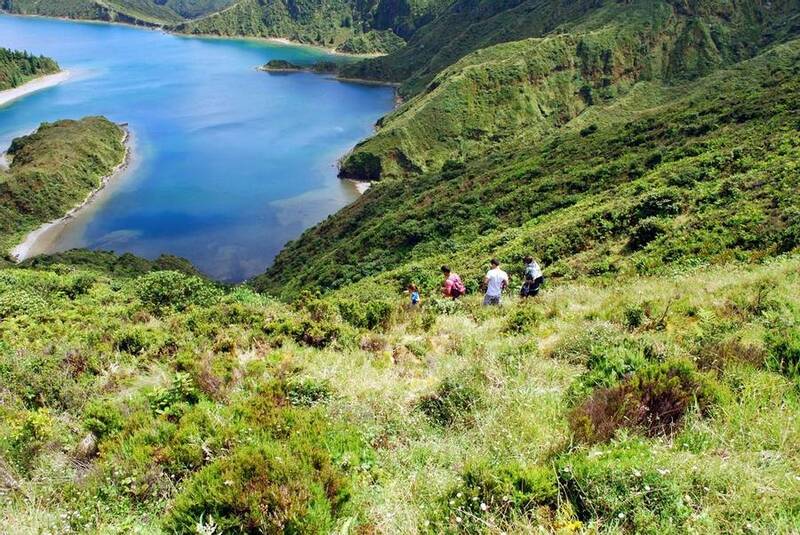 This four-night break includes the highlights of the largest island, Sao Miguel. 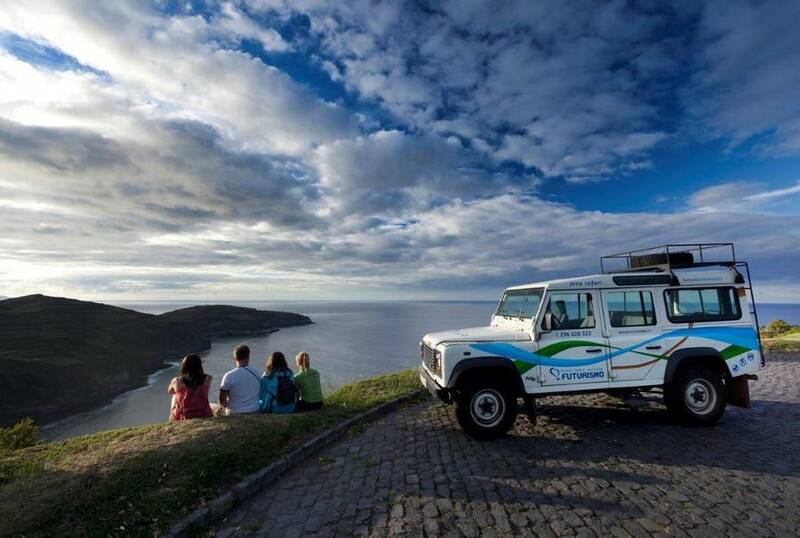 Combine peaceful island life with adventurous exploring as you enjoy activities such as whale watching, cycling and kayaking amongst the volcanic landscape. Rich green plant life covers the ground, steam rises into the air and rugged volcanic landscapes tower above. 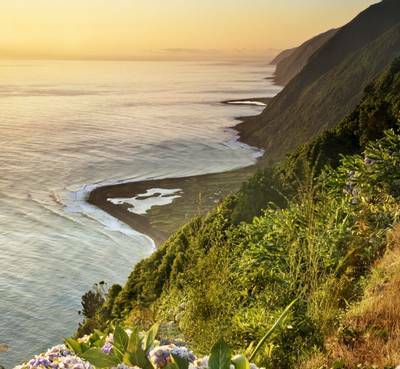 You’d be forgiven for thinking you’ve just travelled to Hawaii or indeed Jurassic Park but the Azorean Islands are in fact, a European hidden treasure. 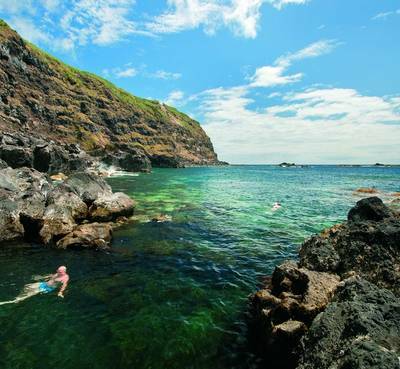 Perhaps it’s their location in the mid-Atlantic that keeps the Azores off the tourist map. However, with easier-than-ever travel routes, it is completely bewildering to us that tourists aren’t flocking here. 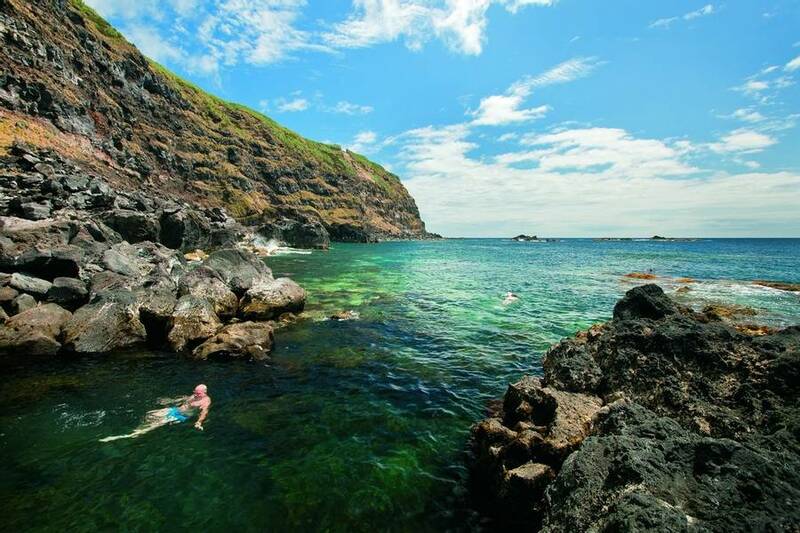 With its picturesque landscape and seascapes, an abundance of wildlife and a wealth of activities on offer, the Azores leave everyone who visits in awe. During your holiday, you’ll have several opportunities to discover its natural wonders. You’ll see wildlife all around you but it’s the ones below the surface that truly inspire. 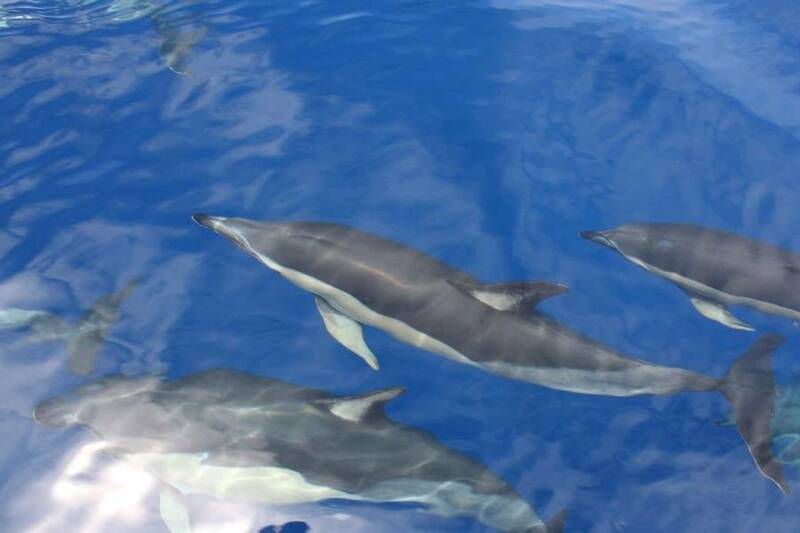 Choose from a whale and dolphin watching tour or, for a real bucket-list experience, you can snorkel with the wild dolphins. 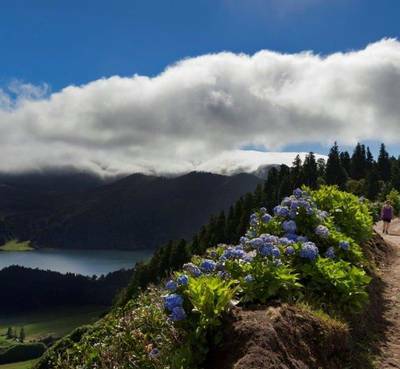 In almost every direction, you’ll see evidence of the volcanic activity in the Azores. 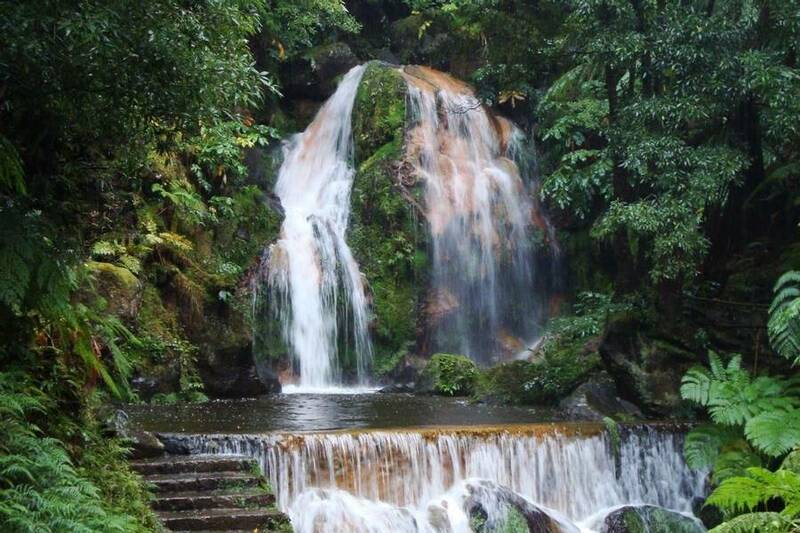 During a trip to Furnas, you’ll learn all about the volcanic action that shaped the islands. 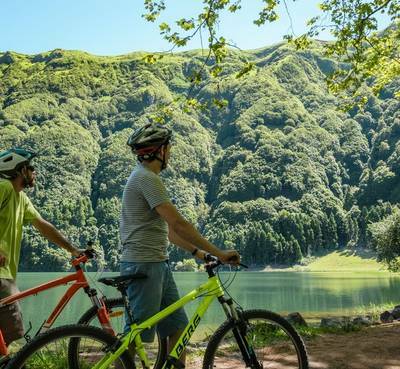 Exploring the surroundings even further at Sete Cidades, you’ll also have the option to cycle around and kayak across impressive crater lakes. 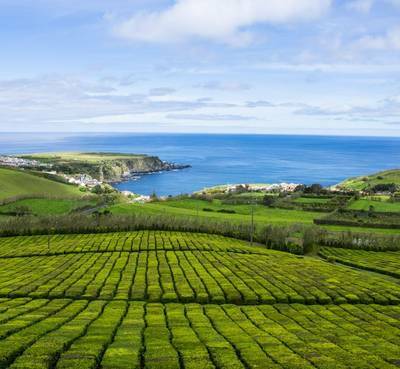 During your time here, you’ll experience how the Azores offer a perfect combination of slow island life with plenty to see and do. Just make sure you don’t brag too much when you’re home – we’d love to keep these islands to ourselves for as long as possible! Upon arrival at João Paulo II Airport, the driver of your transfer vehicle will be waiting to take you to your hotel which is approximately 10 minutes away. 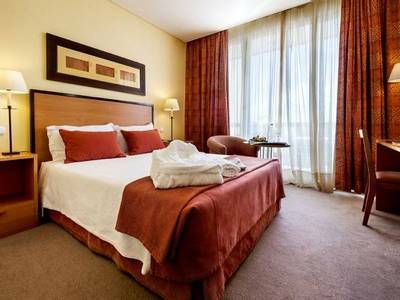 You’ll then check into your accommodation at either the Hotel São Miguel Park or you may have upgraded to the Marina Atlantico or the Azor Hotel. 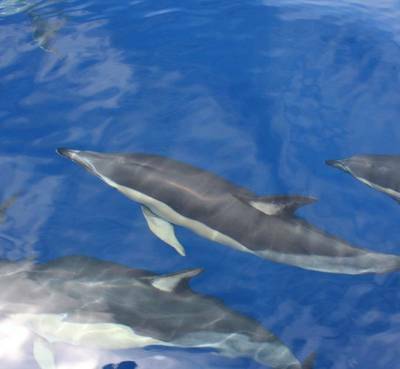 Today you can choose how you would like to see the fascinating marine life of the Azores. You could either go whale and dolphin watching from a boat or choose to get even closer on a RIB boat and snorkel with the wild dolphins. 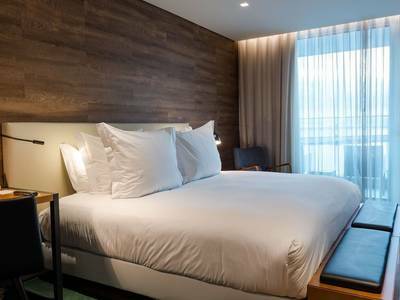 Your activity will either begin in the morning after breakfast followed by a free afternoon, or you’ll have a free morning and head out after lunch (not included). This is dependent on weather conditions and availability. 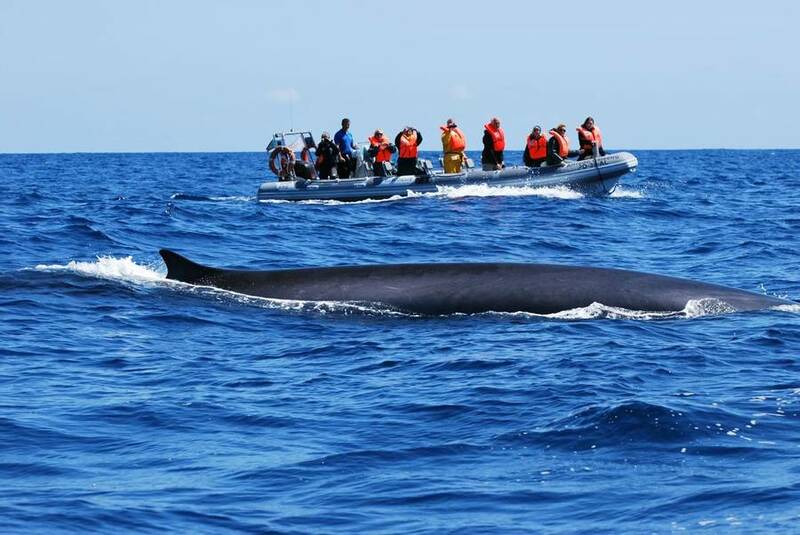 During the whale and dolphin watching tour, you’ll have the opportunity to look out for some of the 25 cetacean species found in the Azores. 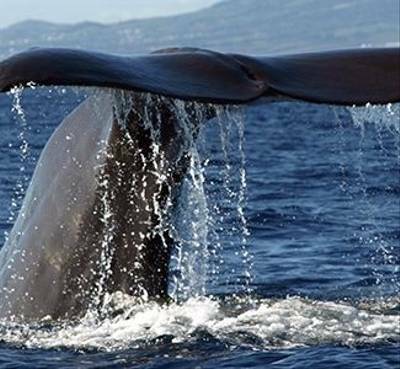 Though there are no guarantees, whales and dolphins are regularly seen during these half-day tours. As well as this, you may see turtles, seabirds and other marine life. Before you set off, a marine biologist will provide a briefing. You’ll learn about the different cetacean species, safety measures aboard, how to respect the animals as well as some historical facts. 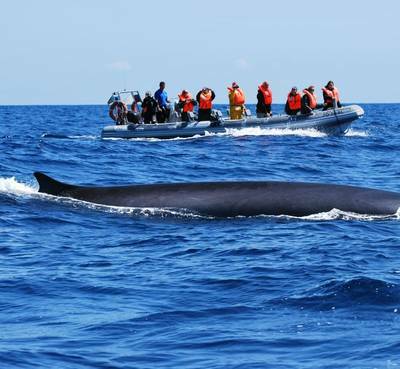 You will usually enjoy the whale watching from a catamaran, however, some trips will be in a RIB boat. If you have a preference, please inform us in advance. For those choosing the incredible dolphin swimming experience, you’ll head out on a RIB boat and on the lookout for a pod of these highly intelligent marine mammals. A presentation will show you how to use the snorkelling equipment provided as well as how to swim responsibly while respecting the animals. Now it’s over to you for a true bucket list moment. As we said, these animals are highly intelligent. Let them approach you as they are naturally curious. Make use of your snorkel and observe how they move through the water. Some may even hold your eye contact as they playfully spin around you! For those who want to stay dry, you can remain on the RIB boat and watch these wonderful animals from there. During the tour, each passenger is required to wear a life vest (except on our catamaran). Restrictions may apply for pregnant women and people with lower back problems. 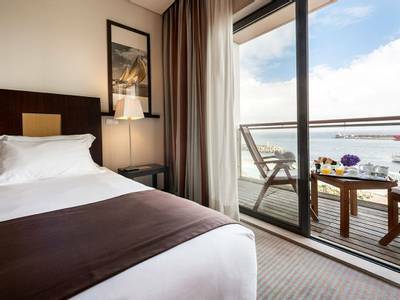 However, our Azorean partners offer different types of boats with different levels of comfort. Today is all about exploring the volcanic landscapes of the Azores. 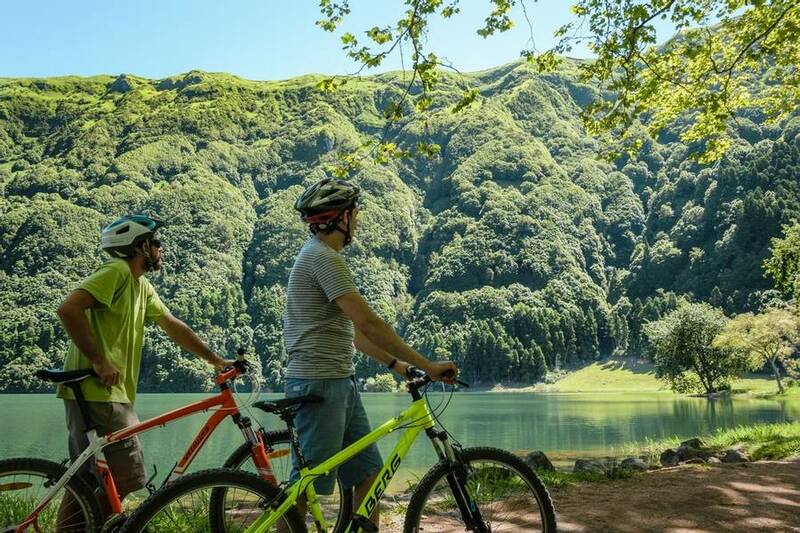 After breakfast, you’ll start your tour at Lake Furnas for a scenic walk along its banks. Pass through a bamboo forest and stroll along a woodland trail where huge trees form a canopy overhead. Then see the fascinating bubbling mud, an indication of the geothermal energy here. You will then go to the town to see even more of the volcanic activity at work. 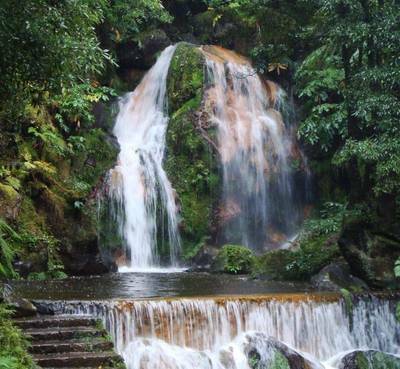 Here, you’ll see fumaroles and mineral springs. Make sure you try the water from each spring as you might notice the variety in tastes because of the different minerals present. 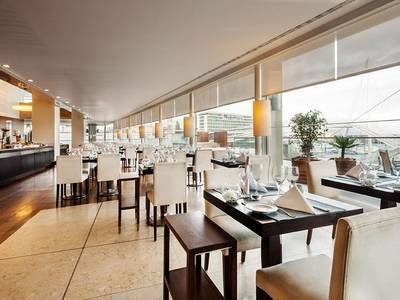 At lunch, you have the chance to try the local dish of Cozido das Furnas. This is the classic Portuguese ‘cozido’ which is a stew of slow-cooked meats and vegetables but with an Azorean twist. Here, the locals really make use of the geothermal activity and cook this delicious meal using the natural steam from the ground! Following lunch, you will have the chance to look around the exceptional Terra Nostra Botanical Gardens. Filled with a variety of plant life, this is a captivating visit which includes the fantastic opportunity to unwind in the iron-rich waters of a geothermal pool. The waters have a soothing temperature of around 35°C to 40°C and the minerals present will leave you feeling deeply relaxed. (Please take old swimming costumes as the mineral water will stain them a light brown colour). 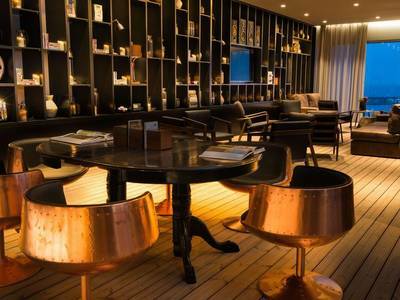 The final location of the day will be a real highlight for tea-lovers. 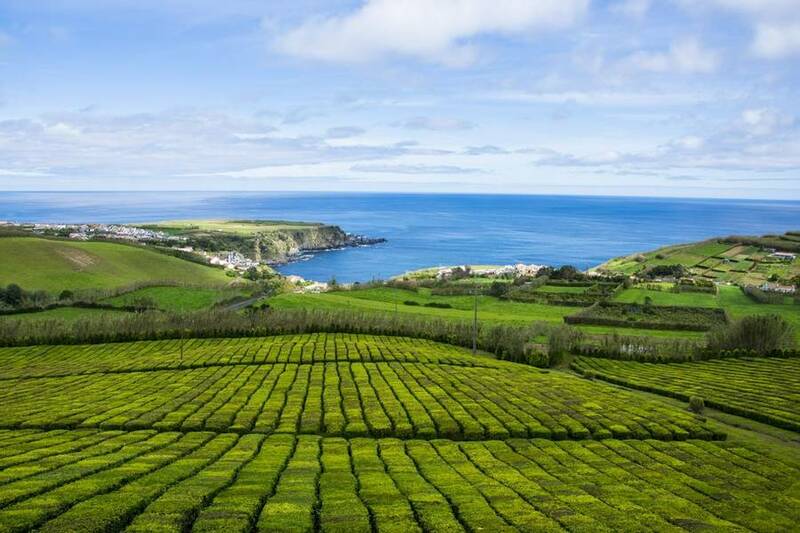 You will visit Gorreana Tea Estates, one of Europe’s oldest remaining tea plantations. In addition to seeing the growing areas, you will, of course, get to sample some of the tea produced here. If you are a fan of Green Tea then you are in for a real treat, the local varieties are fabulous. 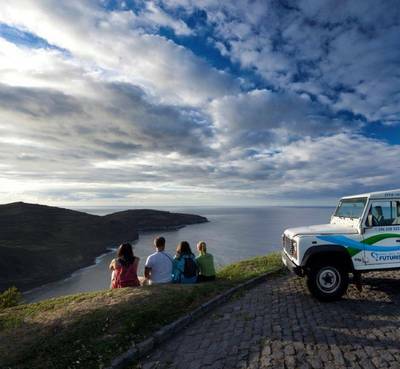 After fuelling up on breakfast, you’ll have an adventurous day exploring the west side of São Miguel. 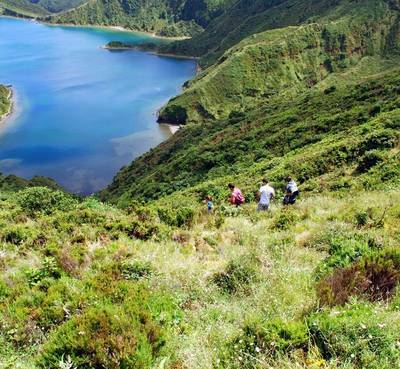 The ‘Lagoa das Sete Cidades’ or ‘Lagoon of Seven Cities’ consists of a twin lake formed in the crater of a dormant volcano. The greenish-blues of the water sit between plush green landscapes which you’ll explore on a 10km cycle ride. The trail is largely flat, with only 10 minutes of uphill peddling which means you can enjoy your surroundings. There is an option to do a tougher route, if you’re feeling up to the challenge. There’s also the chance to get even closer to the placid lake by kayaking across it. A picnic lunch will keep you going after your active start and in the afternoon, you’ll head along the island’s coast. On the way, you’ll stop at Ferraria, an ocean-based hot spring and when the tide is low, it will be possible to have a dip in its relaxing waters. Back at the hotel, you’ll have a free evening to spend your last night as you please. 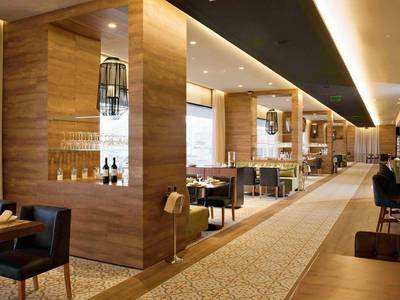 You could head out and sample more of the local cuisine. We’d strongly recommend trying Azorean tapas… black pudding with pineapple might surprise a few people! 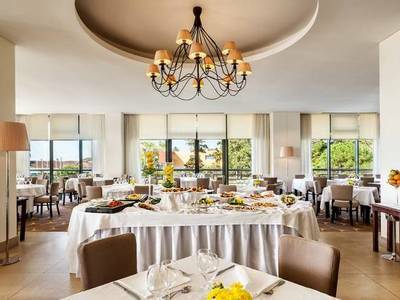 Following breakfast, it’s time for your exploration trip to come to an end. If you have an early flight, we’ll box up breakfast for you before your transfer to the airport. 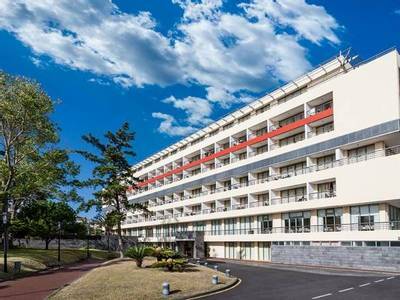 This centrally located four-star hotel is a short distance from Ponta Delgada’s beautiful Botanical Gardens and just ten minutes from the airport. 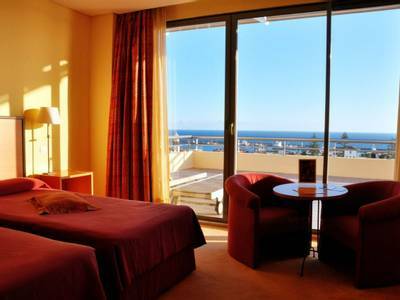 Its open and spacious rooms offer fine views and a summery feel. 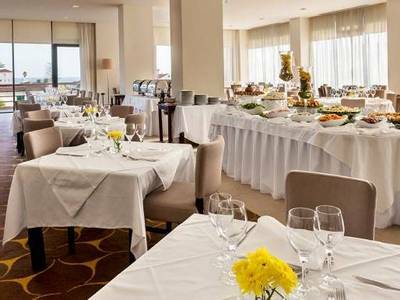 Tuck into delectable buffets of Azorean cuisine at the on-site restaurant and take an invigorating break at the hotel’s health club. Book a therapeutic massage treatment, relax in the Jacuzzi, or freshen up in the spa. Maintain your gains in the well-equipped Fitness Centre. 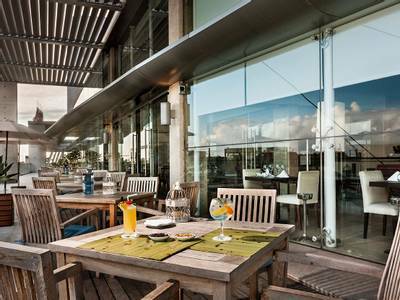 Sample cocktails from the hotel bar and fill up on Azorean cooking at the restaurant. 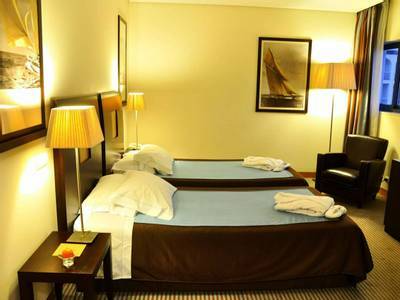 Twin/Double Room: These have a twin or double bed. 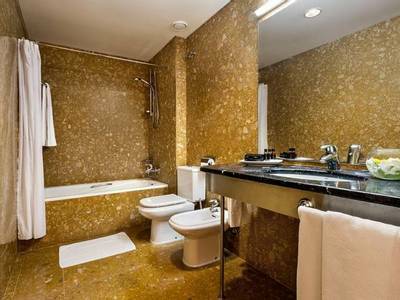 The bathroom has a shower, toilet, and hairdryer. 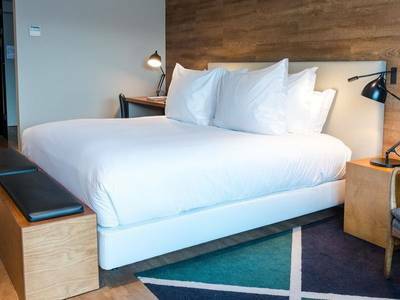 The room also comes with cable television, internet access, and a telephone, as well as air-conditioning, a safe, and a minibar. 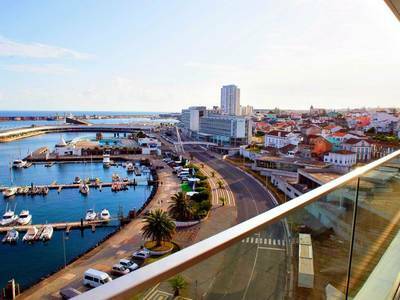 With nautical themes and incredible views overlooking the ocean, the 4-star Marina Atlântico is a great place to enjoy the island’s sea and landscapes. 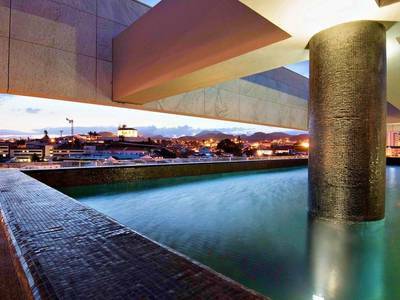 Your central location puts you right in the midst of Azorean culture. Sample the local food, stroll along the streets or visit one of the many museums which are all within walking distance. 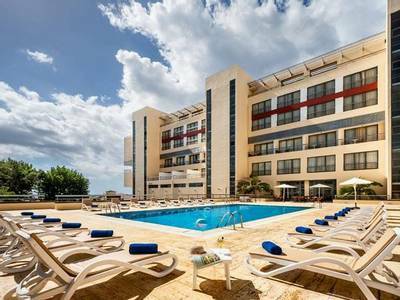 Another hotel with spectacular sea views, the Azor has a modern touch with a strong connection to the natural wonders of the island. 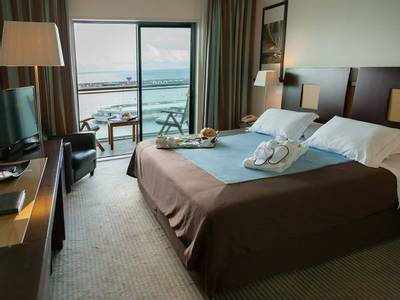 Twin/double rooms: enjoy a sea view from your room with a double or twin beds, air conditioning, minibar, flat screen TV and private bathroom with bath or shower and a hairdryer. 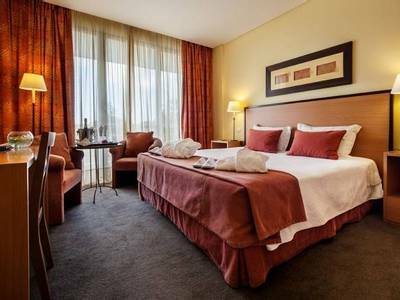 An extra bed can be added for a maximum capacity of three people. 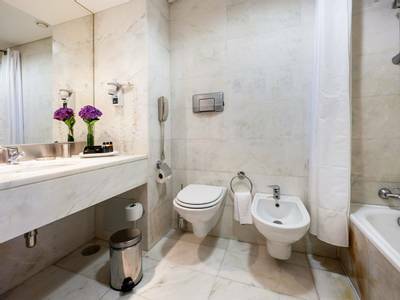 Family room: your sea view room comes equipped with two large double beds, air conditioning, minibar, flat screen TV and private bathroom with bath or shower and a hairdryer. Maximum capacity is four people. Please note that festivities of the Holy Christ of Miracles (Santo Cristo dos Milagres) are taking place from the 24th May until the 30th of May 2019, so some places will be a bit busier than normal.